Really enjoying Lords of Xulima! There isn't currently an achievement for winning as Tinkerer. 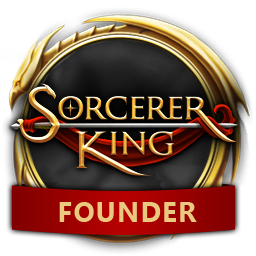 May I suggest a "Sorcerer King Support" forum (perhaps under this one)? Why has my thread titled "Bugs" not in "My Posts"? It's in Subscriptions but not in "My Posts". Some attacks and spells (at least scrolls) can apply their effect even if they don't hit.